In an article, “Is Multiple Sclerosis a Mitochondrial Disease?” published in Biochimica et Biophysica Acta (BBA) – Molecular Basis of Disease, Dr. Peizhong Mao and Dr. P. Hemachandra Reddy, of the Neurogenetics Laboratory at Oregon Health & Science University, identified five key mitochondrial abnormalities that are involved in disease development and progression. Mitochondrial DNA defects, abnormal mitochondrial gene expression, defective mitochondrial enzyme activities, deficient mitochondrial DNA repair activity, and mitochondrial dysfunction have been shown to play a role. Causal factors of this complicated disease are still unknown. However, given the central role of the mitochondria in many important cellular functions researchers continues to look at mitochondrial dysfunction as the key contributor to neurodegenerative process of this disease. 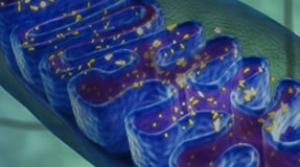 Targeting repair proteins to the mitochondria may prove to be an effective means for treating multiple sclerosis, while also addressing the direct problem of mitochondrial dysfunction in the disease.The use of mitochondria-targeted antioxidants that combat oxidative stress may help reduce the development of multiple sclerosis. In a 2015 clinical study, Coenzyme Q10 supplementation ameliorated inflammatory markers in patients with relapsing-remitting MS. A subsequent 2016 study showed a significant improvement of fatigue in patients with multiple sclerosis. The antioxidant, lipoic acid, has also been proposed as a therapeutic treatment for MS. Studies have linked lipoic acid to decreased inflammation, as well as decreased optic nerve and spinal cord atrophy in mouse models and a significant reduction in brain atrophy with an increased walking speed and a decrease in the number of falls in a study of patients with secondary-progressive multiple sclerosis. Enhancing mitochondrial repair may eventually prove to be an effective treatment for multiple sclerosis and improve the quality of life for those suffering from the disease. Targeting mitochondria metabolism may hold hope for new Lupus treatments. 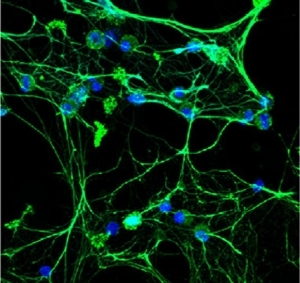 According to researchers at University of Washington who have discovered that the inflammation characteristic of lupus could be brought on by the release of mitochondrial byproducts (reactive oxygen species-ROS) that are released into web-like traps created by white blood cells (neutrophils) whose job is to capture bacteria and pathogens in the blood. While these traps known as NETs (neutrophil extracellular traps), can be life saving in capturing pathogens, excessive NET formation can be damaging to tissue and cause cells to die in a process called NETosis. Previous studies have shown that NETs contribute to lupus pathology, and drugs that inhibit NET formation improve lupus symptoms in mouse models of the disease. Authors of a recent study entitled, "Neutrophil extracellular traps enriched in oxidized mitochondria DNA are interferogenic and contribute to lupus-llike disease," stress that ongoing study of mitochondrial ROS in NET formation and autoimmunity offers new hope for treatments of autoimmune diseases like lupus. Lood, C., Blanco, L. P., Purmalek, M. M., Carmona-Rivera, C., De Ravin, S. S., Smith, C. K., ... & Kaplan, M. J. (2016). Neutrophil extracellular traps enriched in oxidized mitochondrial DNA are interferogenic and contribute to lupus-like disease. Nature medicine. Recent advances in multiple sclerosis (MS) research point to abnormalities in mitochondrial function as a key factor in the onset and development of the disease. Dr. Lukas Haider at the Medical University of Vienna suggests that dysfunction of the mitochondria could impact the cellular pathways causing the inflammation and demyelination known to be the hallmark of this disease. Because the brain accounts for such a large percentage of oxygen consumption, cells in the brain are especially susceptible to oxidative stress, leading to the development of multiple sclerosis as a result of this damage. Without properly functioning mitochondria, cells within the brain are stressed and can malfunction. Instead of only relying upon current immunomodulatory therapies for the treatment for MS, new approaches targeting the mitochondria are being explored to help provide optimal neuroprotection. The American Academy of Neurology has also reported that women with multiple sclerosis may have lower levels of important antioxidant and anti-inflammatory nutrients than healthy people. Mitochondrial support antioxidants are recommended to reduce oxidative stress and the risk of subsequent mitochondrial damage.